The DAV Managing Committee, New Delhi has appointed Dr. Balbir Chand Josan as the principal of DAV College, Sector 10, Chandigarh after S. Marriya retired on 31st March, 2008. 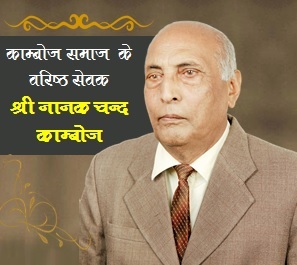 Dr. Josan was serving as the principal in DAV College, Abohar, for last around six years and has also served as principal in DAV College, Jalalabad (West), for three years. Dr. Josan, who did his graduation from R.S.D. College, Ferozepur, joined as a lecturer in DAV College, Jalalabad (West). He got his doctorate degree from Panjab University and presently is a member of the Panjab University Senate. Dr. Josan has joined at Chandigarh on 2nd April, 2008. 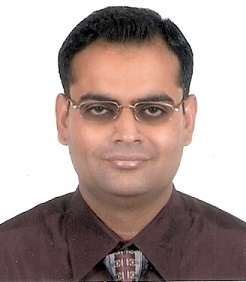 We are very happy with the decision of the DAV Managing Committee, New Delhi for the appointment of Dr. Balbir Chand Josan as the Principal of DAV College, Sector 10, Chandigarh and have high hopes on Dr. Josan that he will work for the welfare of students, staff and college and take the college to further heights. I wish him all the success on behalf of KambojSociety.com and All India Kamboj Maha Sabha (Regd. ), Delhi. 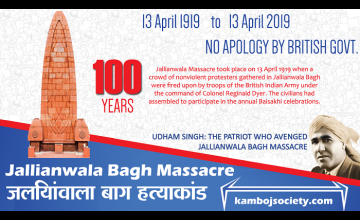 All India Kamboj Maha Sabha (Regd. ), Delhi.